The HTC M10 is currently the talk of the town. All eyes are hooked to the upcoming HTC flagship and the question still looms whether it would be able to change the current position of HTC, considering the fact that HTC One M9 couldn’t fare well and was more of a disappointment for the Taiwanese company. HTC has still kept its cards closed and is only revealing chips and bits here and there through various teasers, although it hardly matters now, considering the various leaks and renders which have disclosed almost everything about the upcoming device. However, it was the camera which plagued the HTC One M9 and much is still not known about the M10’s camera. 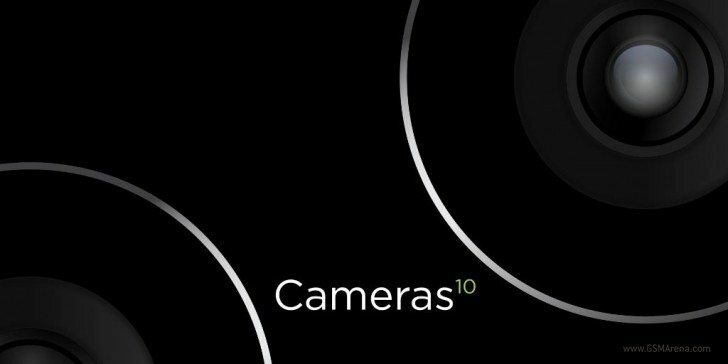 The camera is definitely the top priority for HTC right now and the company has already promised a great camera for the M10. HTC just launched another teaser regarding the camera of the HTC 10. HTC has once again used the ‘10’ in the superscript as in other teasers, which most probably signifies ‘to the power’ or something similar. HTC has posted this picture on its official Twitter account. The accompanying text reads, “World First, World Class, Front and Back. You’ll see”. The term ‘World First’ may denote some new technology or hardware or something like that. The term ‘World First’ and ‘Front and Back’ definitely denote that both the front and rear cameras will be great. Well, we have our fingers crossed and expect nothing less than brilliant from HTC, especially after this much of camera related advertisement. 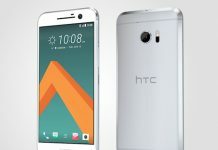 Earlier, HTC had said that the M10 will have a ‘very compelling’ camera experience. The HTC M10 is expected to sport a 5.1-inch QHD AMOLED display and will be powered by Qualcomm Snapdragon 820 chipset along with 4GB of RAM. It will have 32GB of expandable inbuilt storage and feature USB Type-C port. However, the most intriguing feature is still the M10’s camera and we are eagerly looking up to the release of this device.